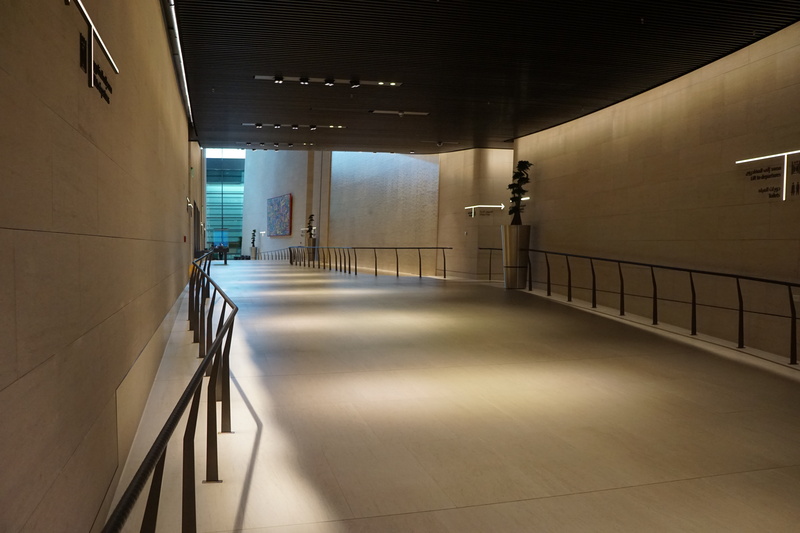 I previously wrote about how American Airlines stranded me in Doha, Qatar by booking a second flight in anticipation that my first segment’s late arrival would cause me to miss my second segment. Thankfully, I made the PHL-DOH flight which was operated by Qatar’s new A350, but my third segment was canceled before I arrived in Doha. 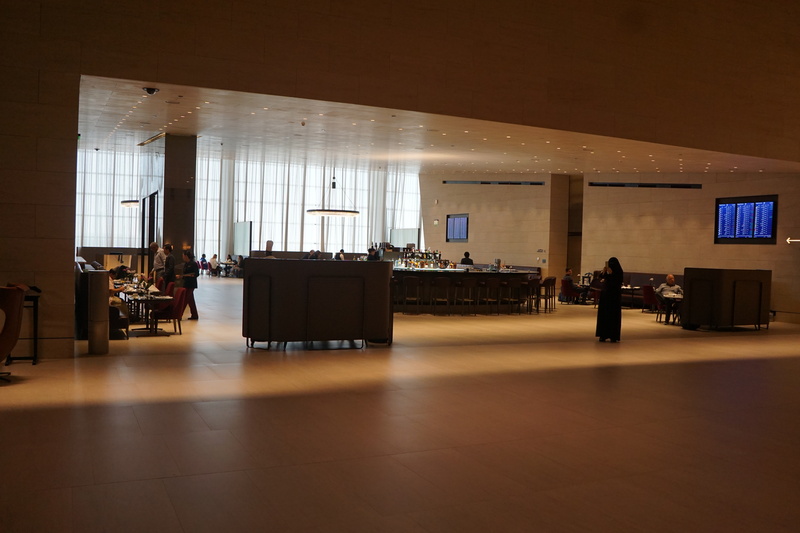 While the Qatar customer service representatives tried to figure out why my third segment was canceled, I was given complimentary access to Qatar’s new First Class Lounge. Score. The entrance to the lounge is stunning. You walk into a very large, open space with a 2-3 story water fountain in the middle. The coolest part of the water fountain is that it is silent. You can see the water flow but it makes no noise. 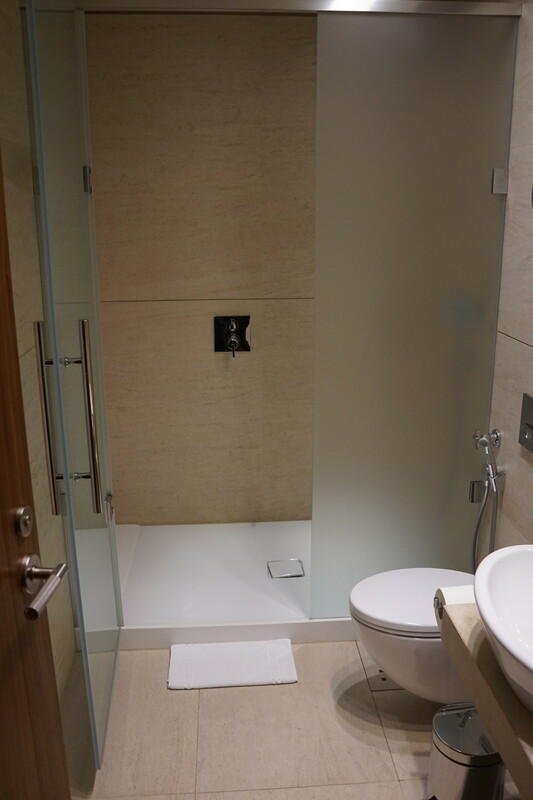 There is a large hallway that leads to the shower and rest room facilities. I still cannot get over this fountain. Here is another picture of the fountain, with the dining area in the background. 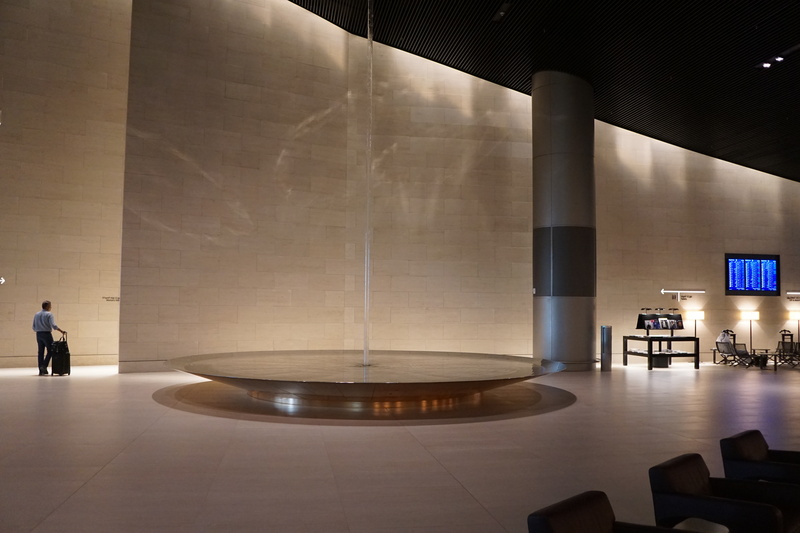 The first thing I needed after traveling almost 15 hours to Qatar was a shower–the showers were complimentary. I was informed that none of the rest rooms (with beds) were available, so I could only shower. I found this odd because the shower that I used was attached to a room with a bed that was roped off (for no apparent reason). The bed at least looked comfortable. 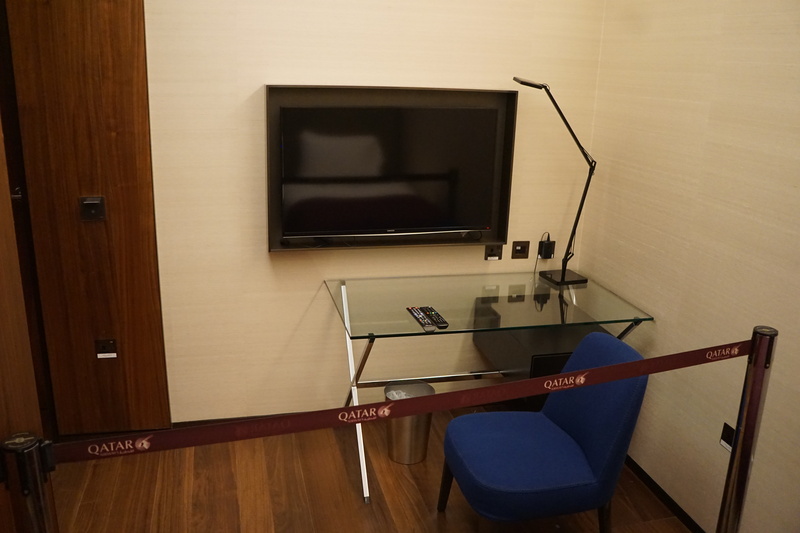 The room even included a large TV and a glass desk. The shower facility was great. The showers had a large rain-type head along with a smaller hand-held wand (not the one pictured in the bottom corner of the picture!). 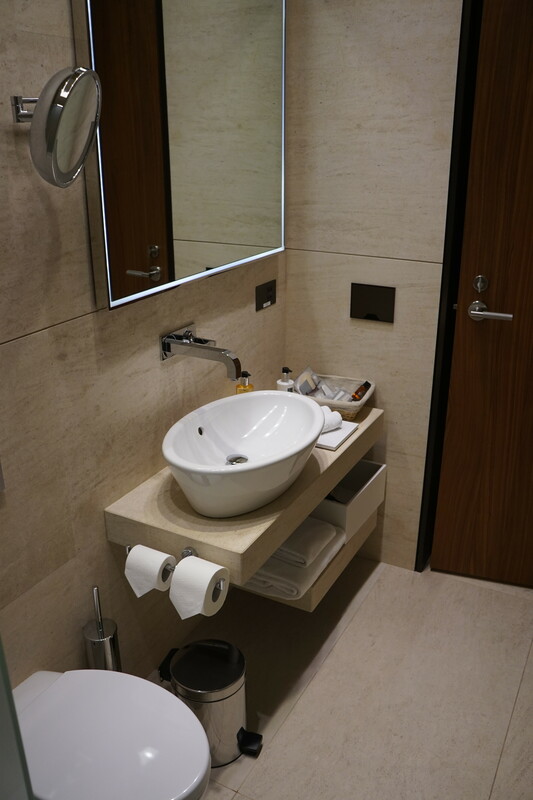 The basket came nicely stocked with toiletries. It included soap, shampoo, disposable shaving razor, shaving cream, lotion, and a luffa sponge. The towels were quite fluffy. 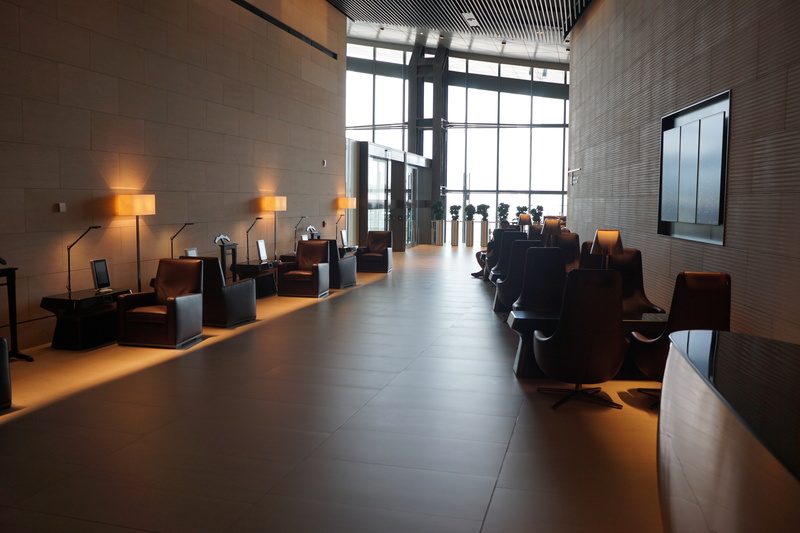 I spent most of my time in the seating area trying to Skype with the travel agency to book a flight out of Doha. Given that so few people used the lounge during the few hours I was there, each person could get their own pod. The seating area continued along this side hallway, just past the spa reception desk. Around the corner is a sandwich/ fruit/ pastry food area. I spent some quality time in this seat. I needed to charge my phone so I appreciated the USB port. The seat itself was comfortable and came with a small footrest that is hiding in the picture. 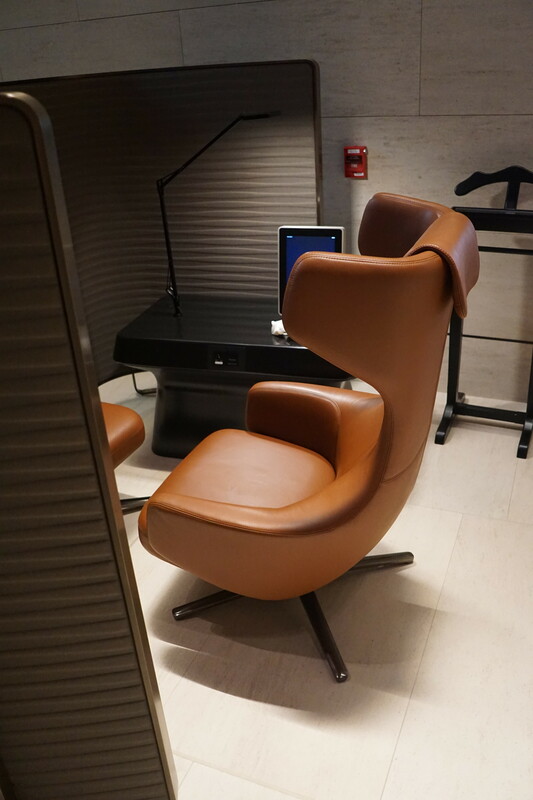 The lounge was silent so the pod provided a nice bit of privacy. I considered napping in the chair at one point. Unfortunately, I was tried, thirsty, and frantically tried to ensure that I was not stuck in Doha any longer than necessary. Needless to say, I did not try any of the fancy food or drinks. The sparkling water was delightful fwiw. Despite the fact that the dining area was attached to the large room with the fountain, the lounge stayed very quiet. Each table was already set so I could have sat anywhere and ordered food. The bar was nicely stocked with top shelf alcohol. 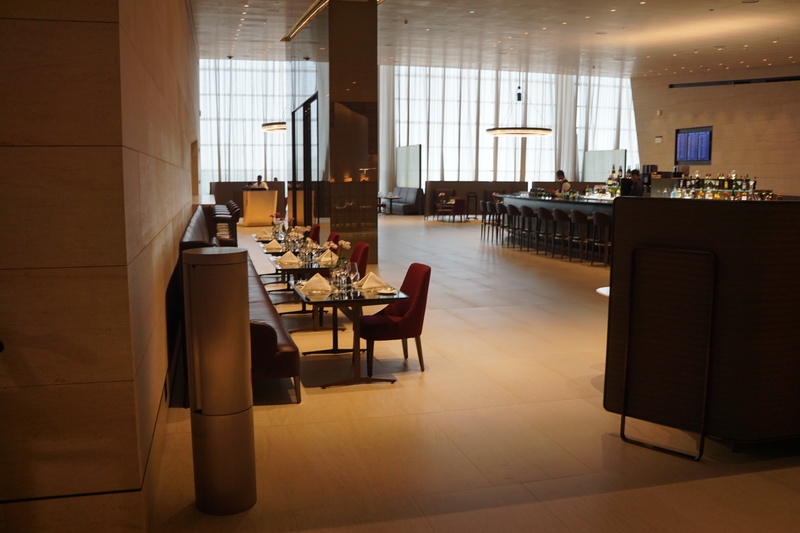 Without a doubt, the Qatar First Class Lounge in Doha is the nicest lounge I’ve visited. Hopefully my return visit will be intentionally planned. 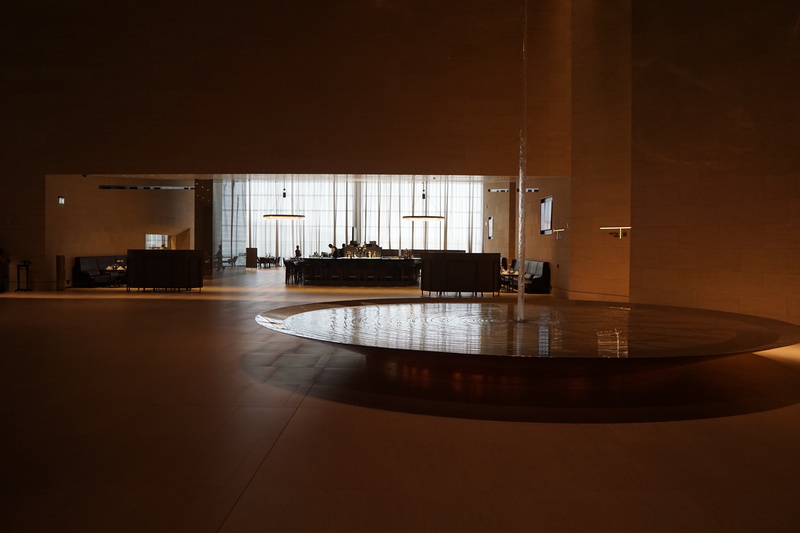 Be the first to comment on "Qatar’s First Class Lounge in Doha, Qatar"